For the fourth consecutive year, SolaX Power has chosen to showcase its latest product developments at EcoBuild, held at the ExCeL Exhibition Centre in London. 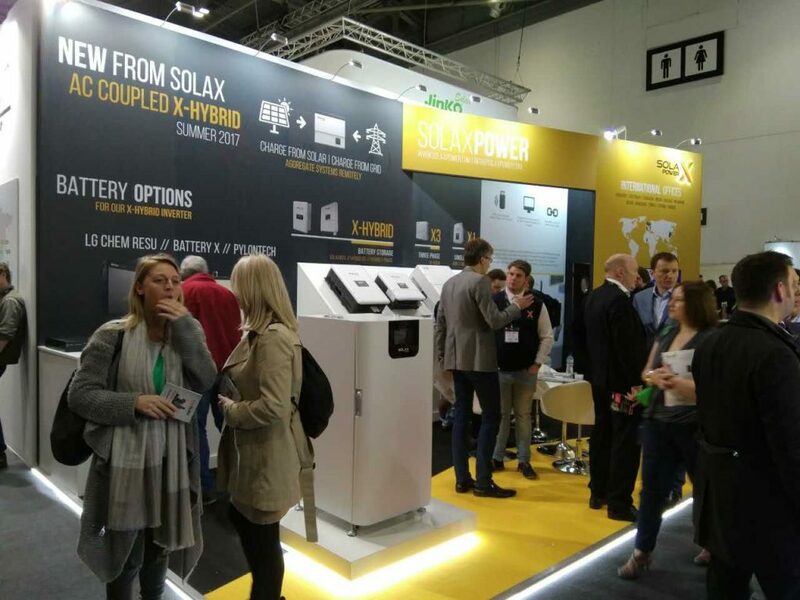 The show, which closed its doors on Thursday 9th March, has again proven to be the perfect platform for SolaX to showcase their latest product innovations, confirming their position as the leading provider of domestic battery storage systems. 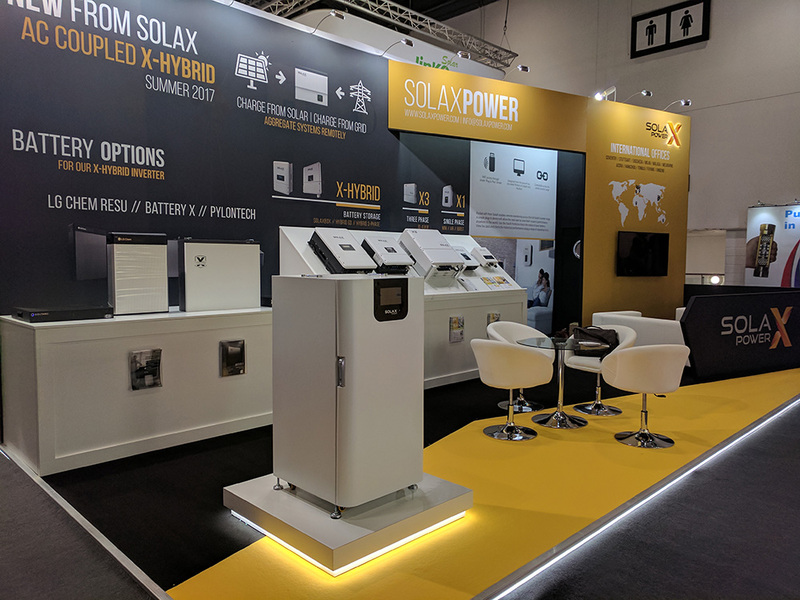 Over the course of a very busy three days, and despite the fact that the solar and storage elements of the exhibition were smaller than in recent years, the SolaX stand enjoyed heavy footfall, with particular interest shown in the AC-coupled X-Hybrid model launching in the UK later this year. SolaX Power used EcoBuild to launch a range of new products. The new redesigned, reengineered inverter range was on display; a range that includes the Generation 3 high-voltage X-Hybrid; the all new 3-Phase hybrid inverter; the new and improved SolaX Box; the new X3 30-40kW model and completely redesigned range of X1 single and dual tracking inverters. “The fact that there were relatively few inverter and battery manufacturers exhibiting was perhaps a little misleading. It might create the impression for some of a sector that is shrinking. “However, from our experience at EcoBuild, where we enjoyed greater footfall than in any of the previous years where we have had a presence; coupled with record sales figures in the last quarter, it demonstrates that both the solar and storage sectors are alive and kicking. “We anticipate that 2017 will be a huge year for domestic storage. With regulatory changes on the horizon, and with a number of large projects about to commence, there is little question that this market is set to grow significantly during the course of this year. All of the new SolaX products are at an advanced stage of development and will be commercially available by the end of the year. For more information please call 024 7658 6998.